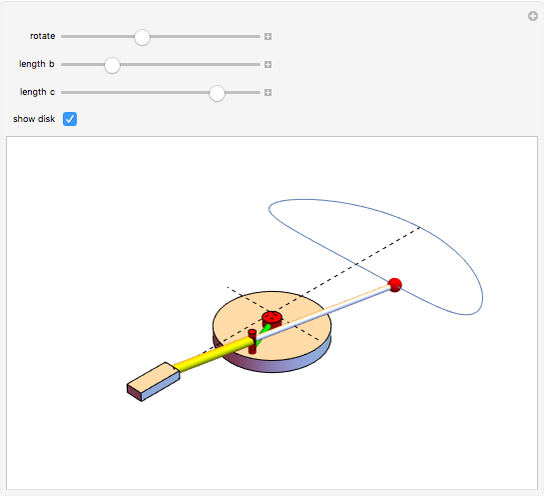 An intermediate point of a bar moves along a circle, while one end of the bar is guided to move linearly. 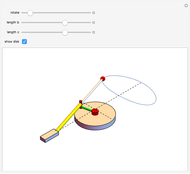 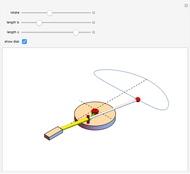 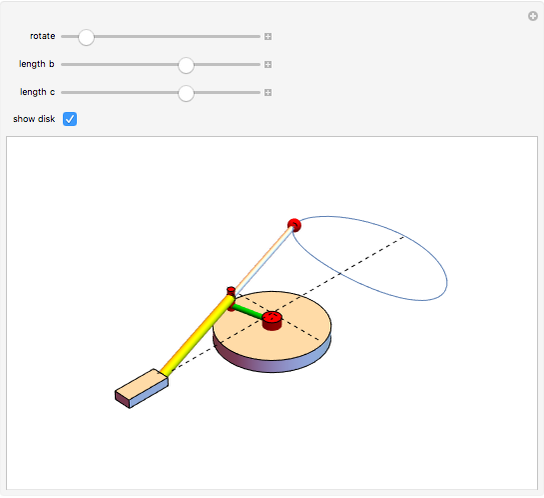 This can be used to convert rotational motion to linear motion. 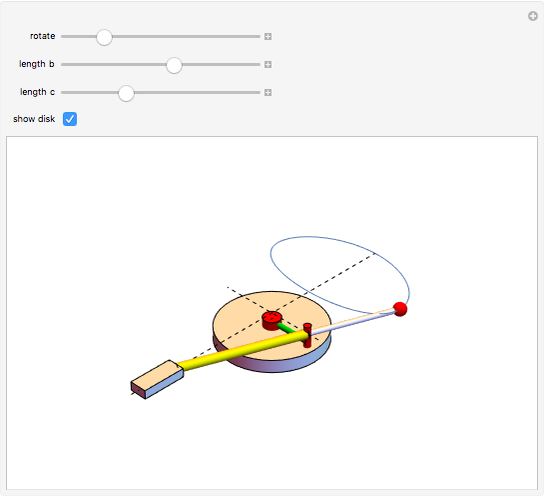 The far end of the bar moves along a closed curve whose shape, size and location change using the sliders: the distance from the point of rotation to the end moving on the straight line is and to the point on the closed curve is . Several purposes could be explored with this Demonstration: propulsion, instrument design, clockworks, pumps, and so on.